This FAQ was compiled by me (NJHK) but I also had some help from other forum members as well. If there is something on this FAQ that you don’t understand, you may contact myself or continue research on your own. Disclaimer: This FAQ was carefully revised by me and Halfcent. If you disagree with anything we are saying, that’s your prerogative but this is a basic informative, question and answer formatted thread to help people who don’t fully understand something when it comes to turbochargers and boost related areas. This was meant to get straight to the point and to the answer and as much as possible not to sound biased, negative or demeaning to the reader. This was about 3 days of compiling, revising, re-reading and correcting (grammatically). We hope you can learn from this and have a better understanding afterwards. Enjoy! Question: Is it better to build a turbo kit piece by piece or to go ahead and get a kit that comes with everything? This is actually really up to the car owner. If you feel that you have the means or capability to have a turbo system built by yourself and also installed by yourself, by all means do it yourself. The results of building your own kit can have its good and bad. The goods, you could save money, you know exactly what is on your turbo system, you have what you want and not what a company wants. The bad, I’ll put it like this…”custom kits have custom problems”. When you build your own kit, you run into the problem of not having anyone to run to when you do have an issue with a product and you have no warranties…basically, it’s your problem, so you fix it. When you do have a kit (most respectable companies at least) have some type of warranty on either the whole kit or at least down to the turbocharger itself. Now if you feel that you DON’T have the knowledge, means and can’t handle the downtime of the installation, then I highly suggest not doing it and buying a turbo kit. Buying a Turbo Kit might save you a lot of headaches. When you are doing a custom kit, you have a lot of mapping out to do as far as intercooler piping, a lot of questions of “will this fit here?” “will this work?”. Also, it’s highly suggested to weld as many pipes as possible. The more pipes that are welded, the less chances of a boost leak occurring. If you don’t have a friend/shop that has a welder, than I would suggest straying away from a custom setup. Not saying that it wouldn’t work but there might be some areas that pipes meet up that would be better supported by welding them than with silicone couplers. This is mearly my suggestion. So the answer: If you can handle the workload and have you’ve made a kit before, by all means go for it. If you can’t handle the workload or haven’t done this before, I’d suggest buying a kit. Question: If I do get a turbo kit, who should I get one from? What do they use for fuel adjustment (also known as Tuning)? How does the piping route from the turbocharger to my throttle body? What kind of turbocharger do they use? Is it a internally waste-gated or externally waste-gated system? What companies do they use in their kits for parts? Question: I want to turbo my car but I want to do it with a re-flash, will GM re-flash my PCM to support boost? It depends on what car you have and where you take your car. First let me explain that GM does not make any type of turbo kit and does not support you turbo-charging your car if it did not come like that from the factory (currently the only turbocharged cars stock with an ECOTEC is the 2003+ Saab 9-3s and soon to be the Solstice GXP/Sky Redline). With that note, if you try to take your car to a GM dealership with a turbo on your car and ask for a certain re-flash, they won’t do it UNLESS you have a friend/hookup. J-body cars can use a re-flash from GM but it was meant for the people running the GM Supercharger kits. Like I said, the biggest hassle will be finding a dealership to actually do it for you. The problem is that they have to call their Tech line for a VCI # but they are usually not willing to lie to their tech line in fear of getting in trouble so they will say that you have a turbocharger….in that case, they will not give the technician the VCI # to re-flash your car. Will this re-flash work if you get it done on your J-body? It’s been reported to work and so far only rumored to have issues, so right now the verdict is use at your own risk. Also, in order to get the re-flash to work, you have to replace your stock MAP sensor with a TMAP sensor that the 2.0 S/C motors use. If you have a Cobalt SS/SC or Ion Redline (2.0 S/C motor), same deal but you could probably get away with turbo-charging your car on your stock PCM. I would still suggest tuning with HP Tuners or something of that nature for a correct tune. If you have a 2.4 or 2.2 on any other vehicle, you wouldn’t be able to do this. GM will not re-flash your PCM and does not have a re-flash for your PCM that supports boost. Question: Where exactly does the BOV go? Your blow off valve would generally be on the last pipe before your throttle body. There really isn’t an ideal place to put your blow off valve (like an exact spot) but it’s usually suggested that the closer it is to your throttle body, the better. Question: Can I use a BOV even with an MAF sensor? Yes and No. You can of course put a blow off valve on your car but the problem with an MAF is that it adjusts fuel accordingly through this sensor but it doesn’t take into consideration of the air release of this. This can cause lead hesitation and things of that nature. Note this is what is a problem sometimes and not a guarantee. As far as the Cobalts / Ion / HHR MAF sensor, there is no real answer as of yet. In my opinion, it probably depends on where your blow off valve is located. If you are truly worried of this being a problem, you can always not have an atmospheric BOV and make it an re-circulating BOV. Incase you don’t know what that is, an re-circulating BOV basically releaves the pressure like it’s job but instead of dumping air into the atmosphere, you would be dumping air back into your intake track. Also, some manufacturers place the MAF on the charge side of the turbocharger and some place it on the intake side for this very issue. Question: Can I use a 2.0 S/C motors injectors on my 2.2/2.4? Yes. I would suggest taking the injector clips as well. Question: What is this Hahn intake manifold and are there ones already available that aren’t from Hahn? Hahn sells an intake manifold called a Port Fueler. Without getting a half explained answer from me, you can read everything you want about it here: http://www.hahnracecraft.com/auto/engine/Portfueler.htm. Hahn also sells an intake manifold without the Port-Fueler provisions if you want it that way. Venom is supposed to have an intake manifold for the ECOTEC motor. Last I saw, it was around the price of $900 and from what I saw, that turned many people to look in another direction. 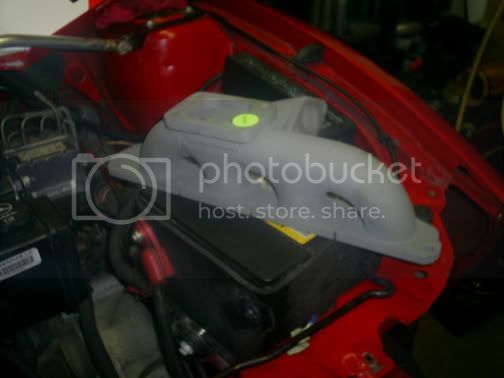 You can also use a 2003+ Saab 9-3 Intake manifold (which is made of aluminum and not plastic). Being the material it is made of, it is stronger and higher flowing than the plastic versions. Also, it still leaves the room of porting it if you really wanted to. Question: How much turbo boost can I push on my stock motor? This is a very common question that people ask and there is a misconception about it as well. Short answer, there is no certain amount. Long answer, you have to understand how turbochargers work. If you are a person who is asking this question, not to insult you, but you probably don’t know the full amount of how turbochargers work and how they affect your motor. These are the flow charts for each turbocharger. As you can see, they flow much differently. One is obviously much bigger is size than the other. Now, with this said, 1 PSI of boost from one turbocharger is obviously not going to compare to 1 PSI of boost from the other turbocharger cause one will flow more CFM of air per PSI. So with this said and you see the difference between each turbocharger, you will slowly understand that you’re not going to get the same power output with 10 PSI from 2 different turbochargers. So this is why the answer is, there is no answer. If you want to know how much PSI your motor can handle, it all depends on the trim, type & CFM of the turbocharger. 10 PSI from one turbo could cause you to have 400 HP while the other could cause you to have 200. 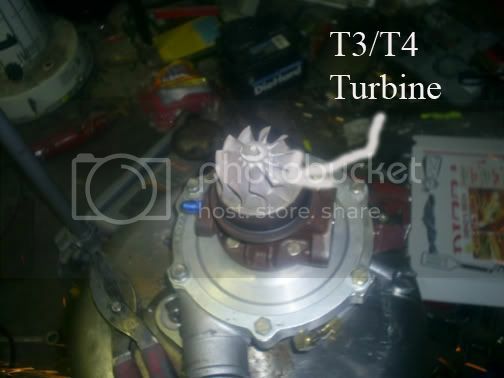 Question: Ok than, how much power can my motor handle with a turbocharger? This is another question that has a misconception of having a “dead on” answer. Short answer: Only way to find out is by pushing it. Long answer: Granted the similarities between the 2.2, 2.0 and the 2.4, there are their obvious differences in strength and weaknesses. The weakness with the 2.2s is the connecting rods…the weakness of the 2.4 is it’s “high” compression being that it might be an issue of knock when trying to push high boost and power levels. The 2.0 S/C motors are probably the most well off motor as far as boosting. GM designed it to handle boost with less likeliness of knocking…think about it…they made it 9.5:1 compression, put stronger internals in and even de-stroked it from a 2.2 to a 2.0 which helps with more reliable revving. Now, with this said, this motor is not indestructible like some people may think. Just cause there are supercharger pulleys that make you run upwards of 20 PSI of boost doesn’t mean that you can push 20 PSI of boost from any turbocharger…there is a big difference of air flow between the two. The 2.2 motors, yes having the issue of connecting rods must understand this is an issue with much higher levels of power than of stock. Most of the people who do judge by the good ole’ “250 HP Limit” that GM made must understand that the simultaneous rod snapping was done due to a 100 shot of nitrous. Understand the difference between nitrous and boost. In most cases, boost is more of a gradually building process. Ask the supercharger guys, they’re boost levels usually climb as their RPMs build. Nitrous injections are very instant. With a flip of a switch, 100 horsepower is shot down the motors throat. This puts a lot of instant pressure on the connecting rods and being that these are tiny little connecting rods, they are due to break with the right amount of force. This is why they all broke at around the 250 HP mark. There have been plenty of people to disprove this 250 HP theory that GM is throwing out there…there are even people reaching upwards of 250 wheel horsepower, which yields in much more power being produced by the motor. So if you’re basing your turbo setup around the 250 mark, that’s up to you but it’s not necessarily the “go and stop” as far as your power gains with your stock bottom end. The 2.4 motor was given a stronger bottom end than the 2.2 motors but still the issue that a lot of people are worried over is the higher compression (10.5:1 compression). The reason they are worried is because they fear knocking (detonation). If this is the only concern with the 2.4 motor, my suggestion is finding a way to change your ignition timing and this might solve your problem. Now no matter what, if you fear that your engine can not handle the power levels that you are trying to reach, than I strongly urge you to either keep the boost levels at a lower level or upgrade your bottom end. Question: Ok fine, I’m going to build my own turbo kit, what parts do I need? I update it every so often, so if you want to know when I do update it, just join the forum and subscribe to it. Question: I’m going to turbo charge my motor but should I get my manifold coated? My suggestion is you should but you don’t necessarily have to. When you don’t coat your manifold, what may happen is your under hood temperature tend to be much higher which effects everything underneath your hood, even your engines performance. Remember, heat is your enemy. Now, also remember that by not having your manifold coated, it’s easier for heat energy to escape through the manifold and not go where the energy needs to be, going pass your turbine (Remember, it’s the exhaust energy that is turning the turbine). This will result in you not getting the full potential of your turbocharger and causing your manifold to wear and possibly crack. Cracking of the manifold will result in an exhaust leak which will cause more problems for you boost wise. With this said, if you do decide to coat your manifold, you want high temperature coating. There’re spray-on coatings that you can use that you can buy at places like Jegs (www.jegs.com) but I personally would suggest Jet-Hot (www.jet-hot.com) as my personal experience with them was good and cheap. They also guarantee their coatings won’t crack. Question: What fuel injectors can I use in my ECOTEC? You can use a lot of fuel injectors that come in different sizes. Remember, you can swap fuel injectors between all the ECOTECs. Also, Hahn uses Accel brand fuel injectors with their ECOTEC turbo kits, so if that makes you feel better about that brand that Hahn uses it, that could be an option for you as well. 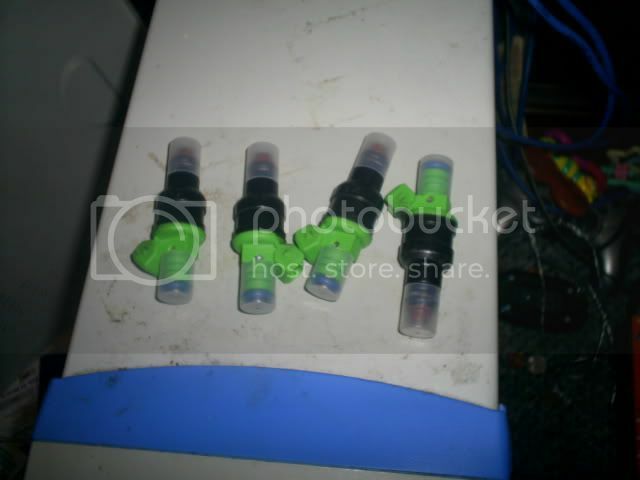 If you do decide to use injectors from another vehicle, make sure you also use the injectors clips. Also, you NEED high impedance injectors, not low impedance. 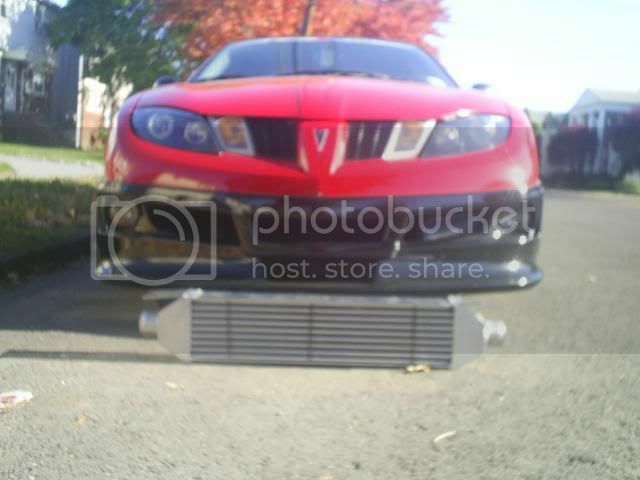 Question: Do I need an intercooler on my car? Does it have to be a front mount intercooler? Once again, this is your choice but it is HIGHLY suggested to have an intercooler. Why? Remember that your turbocharger is just one big compressor that compresses air. Compressed air is hot, period. Very high temperature air just going straight into your motor without being cooled down can cause your engine to not perform correctly and actually cause issues of heat soaking and/or engine damage if the heat temperature levels exceed highly. You don’t necessarily have to get an front mount intercooler, you can always use a side mount intercooler which you can find for sale all over the place or even take one from off a factory turbocharged vehicle (a lot of stock turbo cars use side mount intercoolers). Most people do use front mount intercoolers because it’s a more efficient way of cooling the air cause you are catching air in front of the car and not a smaller amount that is going through the side of your motor. FYI: The size of the intercooler is somewhat up to you being as you have to try and fit it properly in your engine bay area. Question: I have no clue what size turbocharger I should use, what do you suggest? Size, type, trim etc is all a personal choice in reality. There really is no perfect turbocharger for your motor. What you have to realize is that your motor is only pushing so much exhaust and can only turn a turbine so fast, so the bigger turbine you get, the slower it will spin, the slower the compressor wheel will spin. The smaller the turbine wheel…vice versa. Choosing a turbo charger is kind of a tedious thing to do cause you want to figure out where in your RPM band you want power to come in (dealing with spool timing), how much power you’re looking for, can this turbocharger support what I’m looking for as far as power and the list goes on. The type of turbo you get also determines what kind of manifold you get as well as what type of gaskets & flanges to get. My suggestion is to think about supplying the most power throughout most of your powerband and not just a small area of it. Example: If you go too big of a turbocharger and say you’re reaching your max power at 6,000 RPMs and it stays steady like that till redline (lets say 7,000 RPM redline), you just wasted most of your powerband trying to build up to that power level…your turbocharger is too big and not spinning as fast as you would ideally want it to do. Question: What does the “trim” refer to? The “trim” is referring to the size of the compressor wheel. Example: a 60 trim compressor wheel is bigger and compresses more air than a 50 trim compressor wheel. 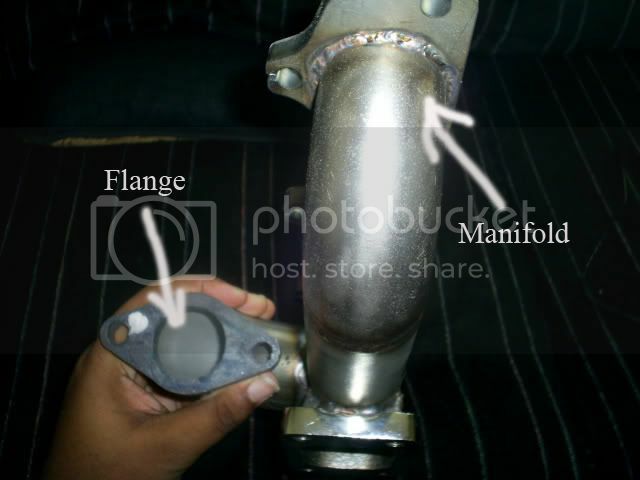 Question: I want to make my own manifold, where can I get an exhaust flange from? Also, GM Performance Parts sells an exhaust flange for the ECOTEC motor if that interests you. Question: What is a wideband? A wideband is referring to the sensor that people use to read their air/fuel ratio. The ECOTECs use a narrowband O2 sensor (on some cars 2 O2 sensors) in the exhaust system that would not allow us to read our air/fuel ratio properly. It basically can tell how your engine is performing by reading the wastes with this sensor. A wideband sensor would do this and give an accurate reading. On our cars you can’t swap the sensors though, you’d have to place a wideband sensor in your exhaust system separately to read you’re a/f ratio but of course this sensor will be connecting to whatever type of unit you are using that translates it. The reason you can’t just replace it with one of your O2 sensors is because it is incompatible with the ECM. On a turbocharged system, it’s ideal to have it closest to your turbocharger as possible (at the top of your down-pipe is a decent spot). 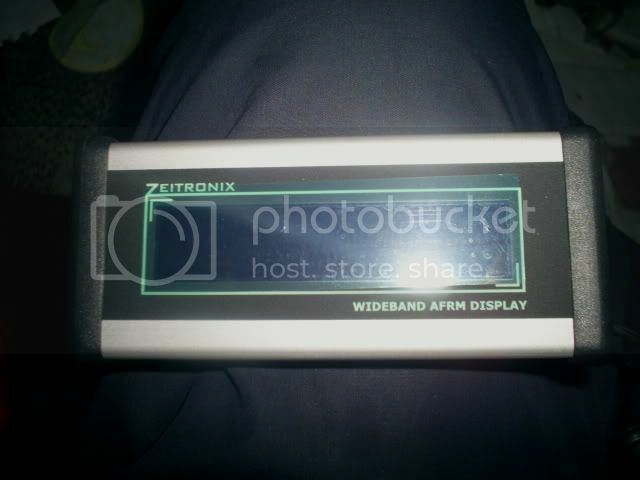 You can find wide-bands everywhere online….check out the Zeitronix Unit (www.zeitronix.com) and the AEM Eugo unit (www.aempower.com). Question: How important is my fuel pressure? Your fuel pressure is very important, especially with using bigger injectors. The Stock Naturally Aspirated ECOTEC uses a higher fuel pressure which might not be suitable for the bigger injectors you might want to use. The result of mixing big injectors and high fuel pressure could lead to flooding of the motor and just a terrible a/f mixture. Question: Ok, what should I do with my fuel pressure if I want to use bigger injectors? This all comes down to how you’re going to adjust your fuel pressure whether it is mechanically (an adjustable fuel pressure regulator) or electronically (through your PCM). If you have a return-less fuel system, you can’t utilize a fuel pressure regulator. Question: Why can’t I use an FMU on my 2006+ 2.2 motor? You can’t use a FMU because you have a return-less fuel system. An FMU would utilize the return side of your fuel system to increase fuel pressure in your fuel rail. Also note that some of the 2005 ECOTECs had return-less fuel systems as well. Question: Can an MAF sensor be plumbed into a charge pipe? 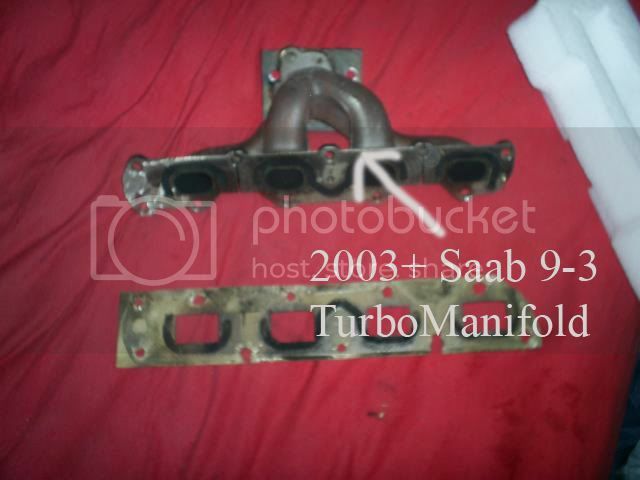 Question: Can I use the 2003+ 2.0 Saab Turbo manifold on my 2.2/2.0/2.4? Question: How important is tuning my ECOTEC? What could I use to tune? Can I just put on a turbo system and call it a day? First answer, it’s very important. You have to realize that your ECOTEC computer was not designed to support boost and the relevance of it (referring to the naturally aspirated guys). It was designed for gas mileage and at most, for you to be able to have decent performance for what you get. With this said, if you don’t tune your computer or at least adjust your fuel system properly, this can lead to plenty of problems whether it’s not running correctly or causing engine damage. You have to also understand that your motor basically runs off a system of air to fuel which I touched upon earlier in the FAQ. You’re a/f ratio gives you an insight of how your engine is running. There are basically 3 levels of how your engine is running…lean, stoich and rich. Lean means that there is not enough fuel being supplied into your motor, stoich means that you’re supplying a sufficient amount of fuel and rich means you’re supplying too much fuel. There are varying degrees of course…you can be lean and have your motor run fine and same thing with being rich. There are of course more dangers with being lean than being rich though. With this being said, when you are putting a turbocharger onto a stock naturally aspirated motor, you’re changing the characteristics of your car/motor in every way. In this day and age, your computer is boss and if it doesn’t like it or doesn’t know what is going on, it reacts and keeps you from doing what you want to do. If your computer is designed to run x amount of fuel to keep a certain air/fuel ratio (basically running properly from stock form) and you go and change the amount of air being seen in the motor to an extreme amount, your computer will react and basically not be able to keep up with what you’re doing. It can go into limp mode, pull ignition timing…things of that nature…basically keeping you from running 100% because it thinks that there is something wrong (mainly think that there is something wrong on the fuel system side cause of the off balance a/f ratio). Now it’s not just as simple as changing your fuel injectors and calling it a day. Your computer will try it’s best to pull voltage from the fuel injectors so that you run the a/f ratio it wants (many have said that it loves running 14.7). Ways of tuning could be through a standalone, devices like HP Tuners, FMU or an Extra Fuel injection system (FMU won’t work on return-less fuel systems and even an Extra Fuel Injection system might not work properly cause the computer will still pull voltage from the stock injectors). Best fuel/computer management to this day to happen for the ECOTECs is HP Tuners. They are slowly changing the game and results of ECOTEC owners from every make and model. Check their website to see if it is available for your vehicle and more info on how it works. Like many of the answers I’ve given, how you tune is ultimately up to you cause it’s a preference thing….all that matters is that you get it done and have your ECOTEC running in top form. 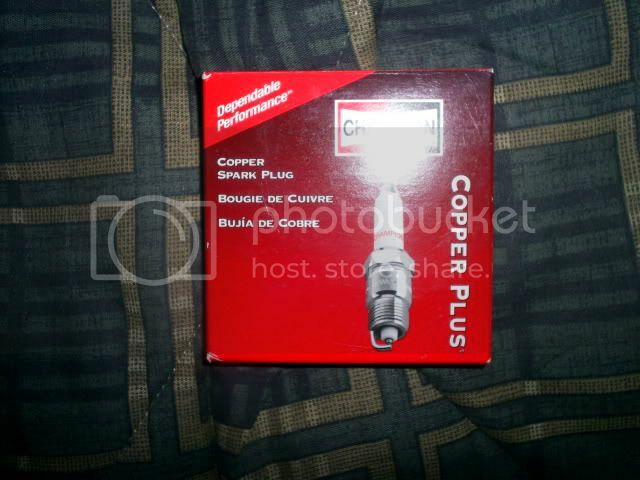 Question: What spark plugs should I use? Most people suggest going at least a step colder. There are quite a few people who are using SRT-4 Champion Spark Plugs because they are 1 step colder than us and platinum. Question: I have an automatic transmission, can it handle a turbocharger? Contrary to popular belief that automatics are weak and can’t handle any real power, this is false…or lets just say in this case of the 4T40E and 4T45E GM transmissions, it is false. You can successfully turbo charge your automatic transmission and still be able to have a reliable automatic transmission. The problem with automatics, more so than manual transmissions, is they produce more heat. The more you’re working your automatic, the more heat it will produce and heat kills transmissions. The solution to this is mearly buying an transmission cooler. You can find them all over ebay for extremely cheap and they work just fine. 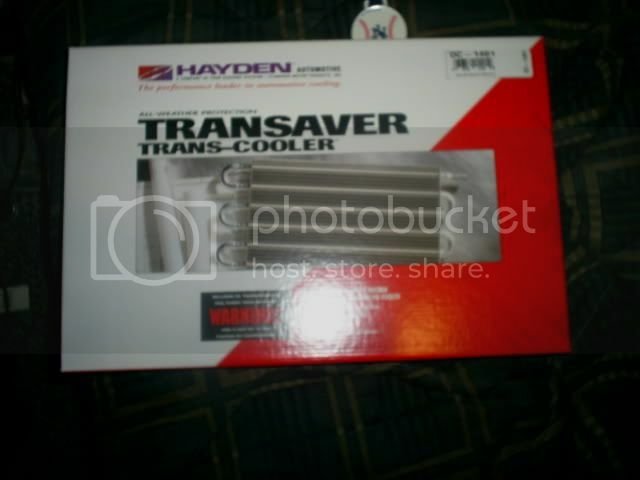 A company to look for with transmission coolers is Hayden, very good products. There however is an additional problem that can be addressed with HP Tuners (if available for your vehicle). The stock transmission shifting patterns are now completely computer controlled. The 4T45E in the Cobalts/Ions/HHRs does none of its own thinking. At less than wide open throttle, the stock computer program will attempt to provide a smooth upshift by lowering the pressure to the shift solenoids. On a boosted engine making more power then what that program was designed for, it results in clutch pack slip and hence premature wear. HP Tuners can adjust the shift points and pressure with ease. Further, as the clutch is usually the weak point on manual transmissions, the torque converter is also the weak point on an automatic. Just like a clutch however, and for the same cost about, high performance, high stall converter can be put in a 4T40E and 4T45E. Question: How difficult is it to turbo charge an automatic transmission compared to an manual? The only real difference is space. The automatic transmission takes up SO much room, which may contrast with how you want to route your piping and the size piping you can use for charge piping and especially for your down-pipe. Question: Can I swap a 2.0 S/C computer to my 2.2 / 2.4 motor? Question: Where are good places to get Turbo products? This is a good question. You’d be surprised how much you can find on forum classifieds. Check out DSM forums (example: www.dsmtuners.com), they are always selling tons of parts like waste-gates, turbochargers, turbo timers…the list goes on. Ebay is another good place to buy parts but be weary of course of who you get your parts from. Look at their comments and rating. Also, stick to brand names…remember, you get what you pay for. ATP Turbo (www.atpturbo.com) is another great place to buy parts and they are extremely reliable. Question: What does a turbo timer do and do I need one? A turbo timer keeps your engine running longer via ignition to let the oil cool down inside your turbocharger so that you don’t cause internal turbo damage from just shutting your car off immediately. Do you need one…no. You can do the same thing by just leaving your car on for 30 seconds to a minute. It’s mainly a convenience product. Question: My friend has a used turbo from an older car, can I use that? Depends. What kind of condition is it in? How old is it? More than likely, it needs a rebuild. Even thought it might be cheap, spending the little extra money on a new turbocharger could save you headaches down the line. Also, remember, stock turbochargers in a lot of cases tend to be very small, so ask yourself, is this turbo going to supply the amount of air I want and be reliable for the power level I’m aiming for? Overall, just use common sense. If something seems too good to be true, it probably is. Question: If I turbo my ECOTEC, do I have to get my head ported or buy a ported head? Where can I buy one from? No, you don’t have to get a ported head but it will not hurt doing so, it would actually result in a positive effect. By increasing the size of the ports on your cylinder head, you’re allowing more air to enter your motor and you’ll be flowing a higher CFM into your combustion chamber….the more air you can bring into your combustion chamber, the more fuel you can spray, the bigger the explosion, the more power you’ll experience. Of course, if you don’t know how to port your cylinder head, I suggest taking it to a professional or buy an cylinder head package. Patriot Performance (www.patriot-performance) makes an cylinder head package that also includes stronger springs, 5 angle port job, new valves and it is also flow benched tested. Also, J-body Performance (www.jbodyperformance.com) sells a cylinder head package that’s a bit more pricey but it includes more items, go to their site for more information on this item. Question: Where can I buy a Hahn Turbo Kit from? You can buy it directly from Hahn Race Craft (www.hahnracecraft.com) or an authorized Hahn Race Craft Vendor. Question: I saw that Maximum Boost sells a turbo kit for my car, is that kit any good? This FAQ gives me an opportunity to tell you exactly why everyone says not to buy a Maximum Boost kit. Back in the days of when I was on the JBO forums, Frank from Maximum Boost was trying to push his kits on the j-body enthusiasts and also developed a site. Frank even put a Turbo setup on his own vehicle… it looked terrible and it was not inter-cooled. Basically a turbocharger, a pipe that went over his motor to his throttle body and some oil lines and that was it. This was a prime example of why you shouldn’t buy from him. To get straight to the point about his turbo kit, they are not kits. They are essentially turbo products thrown into a box and shipped to you. What makes it even worse is that he buys everything off of ebay and they are generic brands (or no names). Yes that’s right, he’s selling you probably the worse turbo around that could possibly go on you in a matter of miles. Besides buying the cheapest products off of ebay, he does no type of research and development. Yup, that’s right, no R & D. He buys all universal parts, puts them in a box, ships it to you and gives you a nice big $3K+ Price tag. Kind of makes you think what did you really pay for? Well, you actually paid for a guy to shop on ebay for you and to ship you a box full of parts that aren’t of good quality (for the most part) and don’t fit your car specifically. So imagine spending all this money for cheap parts and it doesn’t fit your car…you’d feel scammed, wouldn’t you? Well believe it or not, many people have bought his kits, how do I know? Well put it this way, he’s about 20-21 years old and driving around in an RX-8 (a $26-28,000 car). So please, don’t buy into it. Question: I want to get an external waste-gate, what brand & size should I get? Your waste-gate is very important. This is what is maintaining your max boost levels (unless you’re running a boost controller but none the less still important). My suggestion is to pick a brand name company and not a cheap and generic brand. Once again, you get what you pay for. Most popular external waste-gate to buy for 4 cylinder cars (including the ECOTECs) is the Tial 38 MM. Question: Where can I buy a turbo manifold from? Is there anything I should look out for when buying a turbo manifold? Depends on what type of turbo you’re using. You can buy a Hahn manifold, they sell manifolds on ebay. There are random places that sell manifolds for the ECOTEC. You can also use the 2003+ Saab 9-3 2.0 ECOTEC Turbo manifold, which has a triangular flange for a Mitsubishi turbo (they come with a TD04 Mitsubishi turbo). 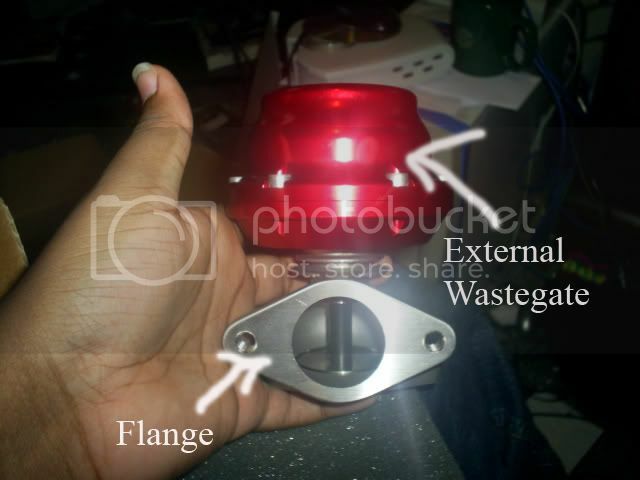 Now, what you should look for is whether it has a flange for an external waste-gate or not. If you are planning on running an external waste-gate and have a turbocharger without an internal waste-gate, this is very important to look for. If you have an internally waste-gated turbocharger, you can actually buy whatever manifold you find for sale. If it has an extension, you can just find a way to block the opening but it’s just less hassle to find one without an extension. Also, if you do have an external waste-gate, make sure that the flange on the waste-gate and the manifold are the same size and type. Obviously you can see how they are the same type and size, so they will fit on perfectly fine. I also found that Wheel 2 Wheel Powertrain (www.wheel2wheelpowertrain.com) makes an turbo manifold. From the looks of it, the flange on it looks like a standard 4 bolt T3 flange. I personally haven’t seen anyone with it but this is just an option for you. Question: Can I use a 2003+ Saab 9-3 Turbo System on my 2.2/2.0/2.4 motor? Yes. There have been J-body guys that have done this. Most of them just use the turbo manifold, turbo and the intake manifold. Question: Where can I find used stock turbo car parts? Question: What kind of clamps should I use? I highly suggest using T-Bolt Clamps. 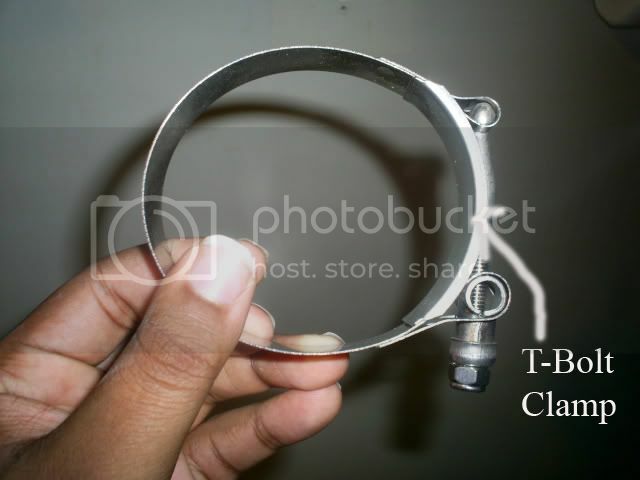 If you use regular clamps (for example, the simple ones that come with intakes), you have a higher chance of having a boost leak and piping coming apart. You can find them on ebay for real cheap. Question: What is turbo lag and why does it happen? Does every turbo have this problem turbo lag? Ah…turbo lag. The term “Turbo Lag” probably carries one of the biggest turbocharger misconceptions. The misconception is that if you get a turbo, you’ll have this problem. This is highly not true. Turbo lag is referring to the delay of response from a turbocharger in spool timing or hesitation of a turbocharger. Now don’t get me wrong, turbo lag can occur but not in every turbocharged setup. The reason turbo lag occurs is basically from not properly sizing a turbocharger (as far as spooling efficiency) to a motor. The delay is from the lack of exhaust to spin a turbocharger with a quick enough response. The reason this doesn’t occur with every turbocharger is because turbochargers come in all different sizes, trims etc. There are turbochargers out there as small as my hand that can spool instantly and there are turbochargers out there that are as big as my head that can spool instantly (even on a small motor) cause of them being ball bearing. Especially dealing with smaller motors, when you put too big of a turbocharger on, lag can occur. Question: Ok, I don’t want a lot of turbo lag but I still want to use a big turbocharger. I heard spraying nitrous will help spool the turbo better, is this true? I’ve heard this so many times and never fully understood why someone would want to do this…well at least in a daily driven street car. By you spraying nitrous, what this is “suppose” to do is help create more exhaust because you’re causing a bigger explosion in the combustion chamber…the more exhaust you create, the more exhaust energy you’ll have, the more exhaust there is to spin a bigger turbine…this is the theory behind it. Now, as fine and dandy as that sounds…WHY? Assuming you’ve read a majority of this FAQ, you would understand why there is no reason you need a HUGE turbocharger. For the most case, the average tuner is looking for a moderate power gain and not some 500+ HP “monster” 4 cylinder motor. With this said, a moderate size turbocharger can accomplish the gains that you are looking for with the spool timing you need. Having a huge turbocharger might seem cool but it’s unnecessary. On top of it being unnecessary, the extra money and work for nitrous is even more of a non-necessity. Question: What is a T3/T4 hybrid and why is it so popular? A T3/T4 hybrid is just that, a hybrid. Basically this, it has a T3 compressor wheel and turbine inside a T4 compressor & exhaust housing. Why so popular? Simple, you’re kind of getting the best of both worlds. You’re getting quicker spooling using a T3 turbine than you would with a pure T4 turbocharger and you’re also having a larger compressor housing than your typical T3 turbocharger. The advantage of having a larger compressor housing is that it allows you to have more room for air to be compressed than you’re typical pure T3 turbocharger. Question: What does the size of the compressor housing mean to power/spool up? The bigger the compressor housing you have, the more room there is for air to be compressed. It means nothing as far as spool up, that’s all according to your turbine. Question: I own a 2.4 motor. Can I use a turbo manifold that was made for a 2.2 or 2.0? Yes. The geometry is the same for all 3 motors. Question: What fitting do I use for my oil pan? You can use Auto-meters (www.autometer.com) fitting (P/N 2278), this fitting fits the ECOTEC block that converts into a 1/8” NPT. Also, you can use Earl’s fitting (P/N 997110ERL) to Tig Weld into the aluminum oil pan. It has a -10an fitting acceptance. Question: If I want to be 100% safe, what parts should I replace on my fuel system? If you want to be 100% safe, you should replace your fuel pump with a higher flowing fuel pump and replace your fuel injectors with something more appropriate for the power levels you’re aiming for. Fuel pumps you can buy all over the place, even places like Ebay, Gravana Tuning (www.gravanatuning.com), Car Customs (www.carcustoms.net), Team Vision Racing (www.ryne.com/storefront). Look for manufacturers like MSD (www.msdignition.com) & Walbro. If you’re wondering about your fuel rail, fuel lines & fuel pressure regulator, you don’t necessarily have to change them and in some cases you can’t. Assuming you’re the average “tuner”, you’re fuel rail is perfectly fine for the power you want to put down, this goes for your fuel lines as well. Your fuel pressure regulator, in the case of ECOTEC owners with a return-less fuel system, you wouldn’t even be able to change because you don’t have one. If you don’t have a return-less fuel system, the only reason to really buy an adjustable fuel pressure regulator is to adjust the fuel pressure for when you put on bigger fuel injectors. If you have HP Tuners available for your car/computer, than you can do this through the programmer and don’t necessarily have to change it as well because you can adjust through your PCM. Question: I’m not sure if I should go with an internal waste-gate or external waste-gate. Is one better than the other? It’s kind of “common” knowledge of internally waste-gated turbochargers being more likely to experience boost creep and spiking but this is not saying that if you do get an internal waste-gate that you WILL be doing this every time. Question: How do I tap the oil pan and where? Don’t tap it unless you have specific instructions to do so. If you are doing your own kit, there are two places. There is a cast in dimple in the lower crank case girdle, a left over from the Saab design, that works perfectly. If you are using an automatic, you can’t use that, because the trans blocks it. You then have to drill the oil pan directly above the drain plug as high on the pan as you can get. Question: Can I just drain the oil then drill a hole and fill the pan back up drive a round for a bit then re-drain car to get the shavings out? NO! You must remove the pan. It’s not that big of a job actually, and it will be easier to drill and tap the pan with it off on a bench then still on the engine. There is a baffle inside the pan that you can not see unless you actually remove it. You must drill above this baffle. Question: Can I leave the blower on and just gut it? You could, but why? You’re leaving behind weight and increased distance for the charge air to travel. And you’re destroying a perfectly good supercharger. There is really nothing gained by the additional cooling of the laminov. Put a simple intake manifold on it, like the Saab or Hahn design. Question: Do I need a BOV if so why? For turbo-charging, yes. If you are at WOT and then close the throttle, the turbo-chargers momentum will continue to force air into the charge pipe until the turbine slows down. The pressure in the charge pipe would become excessively high unless it has a way to escape. The Blow Off Valve is usually connected to the charge pipe on one side and the intake manifold on the other. When the manifold pressure drops below the charge pipe pressure, the BOV opens, allowing the excess pressure to bleed off and protecting the charge piping from over-boosting. Question: Can I keep my stock MAF sensor? I do not want to fail emissions from a stupid CEL. Maybe. No single answer to this one. Most of the kits prototypes I have seen have been able to keep it. One company put it on the intake pipe, another put in on the charge pipe. It just depends on how your ECM tune will respond. Question: Will I need to reflash or tune my computer if I do the swap? On the LSJ, I don’t know. It is conceivable that the stock system would be able to handle the change. However, with the availability of tuning products like HPT, making changes should be easy if there is a problem. Question: I heard something about a bleeder in our superchargers. Will it effect it I go turbo? Intergrated bypass. Not bleeder. If you are talking about turbo only, then no. The bypass is removed along with the supercharger. If you are twin-charging, then maybe. But it will be one of those issues you’ll have to deal with during the tuning phase. It will effect operations during less-than-WOT acceleration. Question: How much or the safest amount of boost for our ss/sc internals? Horse Power, not Boost. The weak spot in the LSJ is the piston. It is recommended you upgrade it for anything past 250HP (build book), but they are probably good up to 300. The rods are probably good to 350HP. Question: What is a good turbo and blower pulley combo to run on stock internals? Modified? None. This answer is open to debate, but personally, I see no reason to twin charge a car that remains on stock internals. You can achieve the upper limits of the stock engine through supercharger upgrades alone. If you are twin-charging, you should be doing other things as well. Question: If a MAF sensor can be plumbed into the charged pipe, than you could have a BOV as long as it is before the MAF sensor, right??? There seems to be some concern about having a BOV and MAF sensor at the same time. There is no compatibility problem I am aware of. It’s just a matter of tuning correctly. The computer knows via the Throttle Position Switch if you are closed throttle, and has a different fuel delivery program for that situation. Question: How much hp will the 60lb injectors support? Misunderstood item. The size of the injector has nothing to do with how much HP is can support. You need to be able to deliver enough fuel to match the amount of air you are sending. HP is a later function. Determining injector size is a complex function based on air flow and requires other factors to be considered as well, like fuel pressure and pulse width. Question: If I go with a kit should I scout out the Garrett kit or the Hahn kit? That’s just up to you. Consumer preference. Question: Can you estimate gains on a motor for say, every PSI will equal a certain amount of HP? No. You come to learn as you modify cars that you can never really expect a certain amount of horsepower per modification. Examples you always see is “this intake will give you 5 HP and this exhaust will give you 10”, when it doesn’t work like that. Modifications can work together or hurt each other. You can modify and be slower than you were stock. Biggest reason this usually happens is because of the lack of computer control and tuning. As far as HP per PSI, there is no such thing. Going back to an earlier question, PSI is a measurement of pressure but it’s the CFM that really counts that the turbocharger is compressing. With this said, a small turbo (lets use for example, a T25) can be pushing out 10 PSI and only give you a gain of 25 HP (this is all hypothetical) and you take a much larger turbocharger (example: a Garrett T4) with 10 PSI it can give you 120 HP gain. So because of the differences between each single turbocharger, you’re not going to have the same amount of horsepower gain per PSI. Question: What is Bar, Vacuum & PSI? How does this all work as far as a boost goes? They are all measurements (units) of pressure. Now, everyone has at least a 1 Bar sensor. Lets use an Naturally Aspirated ECOTEC for example, you have a 1 bar sensor but this doesn’t mean your sensor can read boost. The 1 bar (14.504 PSI) that your sensor can read, its reading vacuum. Vacuum pressure is the measurement of pressure below atmospheric pressure. Now if you have a 2 bar sensor, you’re able to read 29.008 PSI but once again, this doesn’t mean that you’re able to read 29 PSI of boost, this means that you’re able to read above atmospheric pressure. So with this explained, a 2 Bar MAP sensor should be able to read upwards of 14.5 PSI of boost pressure. If you’re not getting this by now, let me further explain. A turbocharger isn’t just slamming air into your motor like from the outside, it’s the compressing air. This compressed air entering your motor not only is a supply of air that you’re feeding the motor but it’s also raising the air pressure inside of the combustion chamber. Naturally aspirated, you’re only reading Vacuum pressure. When it comes to a turbocharger, you’re raising the pressure above vacuum pressure and above atmospheric pressure, so you’ll be creating “boost”. If you were to ever sit in a turbocharged car and you see someone with a boost gauge, you’ll see one side might say all negative numbers and the other side doesn’t. The negative numbers is referring to vacuum pressure. You’ll also see a 0. The 0 represents atmospheric pressure. And of course, the positive numbers represent the PSI of boost you’re creating over atmospheric pressure. So now you fully understand how boost works and how it’s not just some miraculous creation inside your motor that happens. It’s a gradual build up of pressure. Just Dave (2 UNIQ) English! read the enitre thing i learnt som much! But over all great job! Very comprehensive wriet up, my friend. Thanks for providing a guide to show people that ask me questions. where do you mount your oxygen sensor? in the manifold before the turbo or in the downpipe? It can go on the downpipe. I am also referring to the stock O2 sensor, not a wideband. What kind of injectors should i use for a 2.2 eco with 10 pounds? I have a 04 2.2 eco with a saab 9-3 turbo set up. I would like to know what reflash will work for me?? Im new to the chevy world and all the help would be great! Yes it's called an electric turbo. Ebay has a few kicking around, they might be a better option for you. No. There is no way to turn it off when you want n/a and on when you want boost. 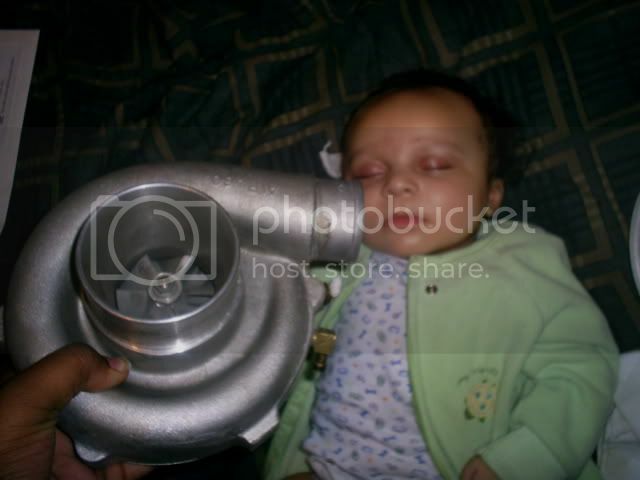 since you got the turbo from a junk yard im guessing it has an internal wastegate. A turbo is ran off of exhaust gas. The gas flows through the exhaust side turning the turbine which is where your boost comes from. So as long as there is exhaust flowing through the hot side it will spool. You can get a mbc and set it low but you can only go as low as the wastegate is set for. What about turbocharging your 2.2 ecotec engine in a 04 cavalier , which has 96,000 miles on it? I've done a lot of cosmetics, added exhaust, but that's about it. My cavalier came stock with the spoiler and racing stripes(which gets everyone trying to race me! ), and I figured why not add a turbo. I only plan on running 5psi. Will that be ok on those stock internals with that mileage? I've kept the car maintained well.